Dimension films made a few Dracula sequels following their solid 2000 effort starring Gerard Butler, most of which are meh. 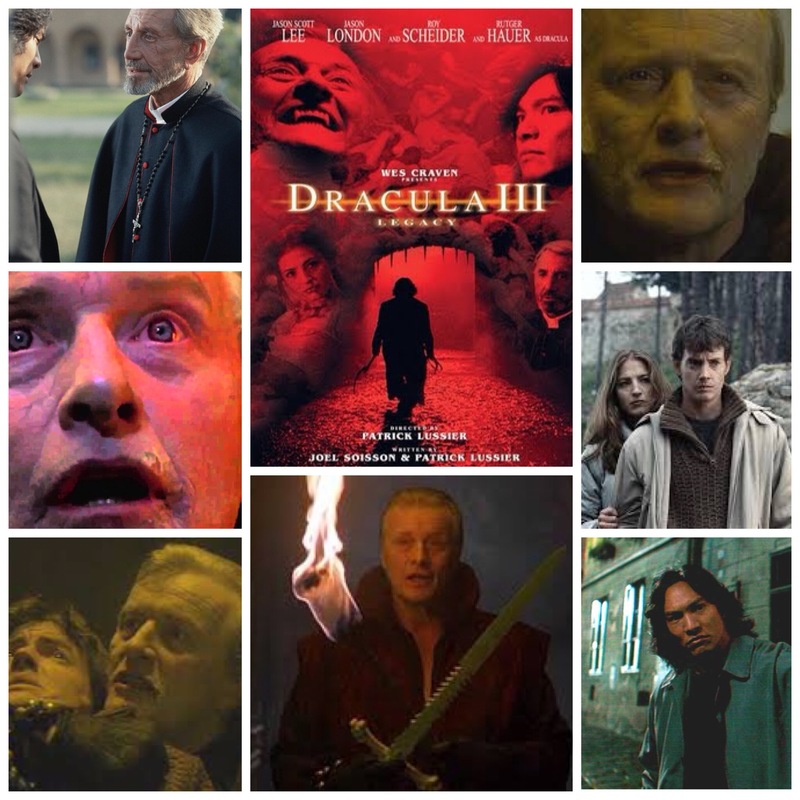 Dracula III: Legacy, however, has the ace-in-the-hole asset of having legendary cult thespian Rutger Hauer in the titular vampire role, and that alone makes it noteworthy. Even though the guy doesn’t even show up until the third act, and isn’t around for long, he’s magnetic as the dark prince of bloodsuckers and not to be missed when rallying up the lengthy list of actors who have played the role. The film itself is grade A-cheese and hardly ever feels like a Dracula story, as well as being fairly incomprehensible in relation to the other handful of films in the franchise. I’ve got a weakness for Dimension horror films though, and they’re particularly slick brand of schlock. Jason London, who we all wistfully remember as Randall Pink Floyd in Richard Linklater’s Dazed & Confused, is some random vampire hunter, off trekking into the Eastern European alps with martial arts actor Jason Scott Lee to find the Vamp of all Vamps. They do find him, in the form of Hauer’s entertaining fiend skulking around a derelict castle and… that’s pretty much it. For Hauer fans, load up Final Cut Pro and edit a breezy short film with just his wicked good scenes. For fans of B Movie silliness, have a few beers first. Everyone else, keep on browsing the blockbuster shelf. Oh yeah, and Roy Scheider is in it too, and I’ve completely forgotten who he plays.